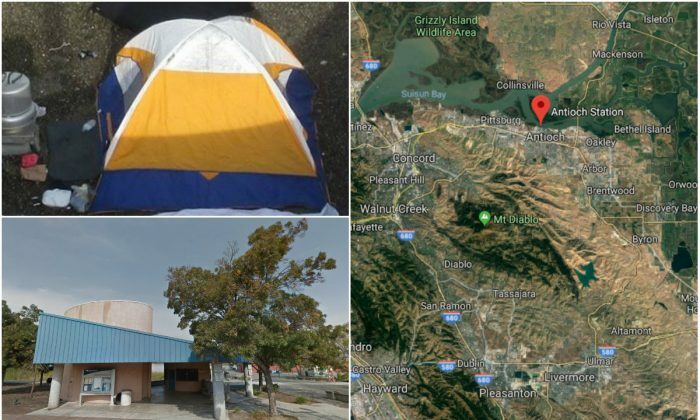 While it’s not unusual to see a homeless person sleeping at a train station, somebody took it to the next level, quite literally, setting up a cleverly hidden encampment at an Amtrak station in Antioch, California. 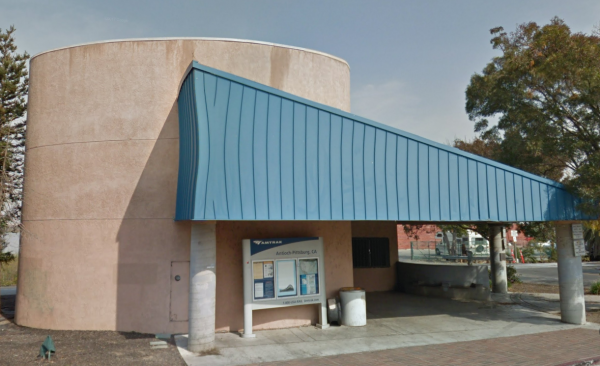 On first sight, the small train station in the San Francisco suburb doesn’t lend itself to a secret shelter. It was by a happenstance, too, that it was discovered. Public Works offered to lift Lenderman to the roof in a boom truck. 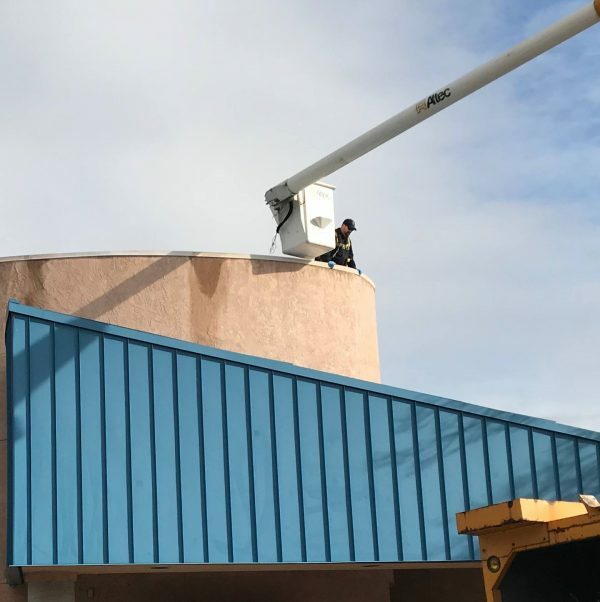 As he was elevated above the station, Lenderman saw the top of the circular concrete structure was spacious enough to comfortably fit a tent, while the parapet was tall enough to conceal the shelter. 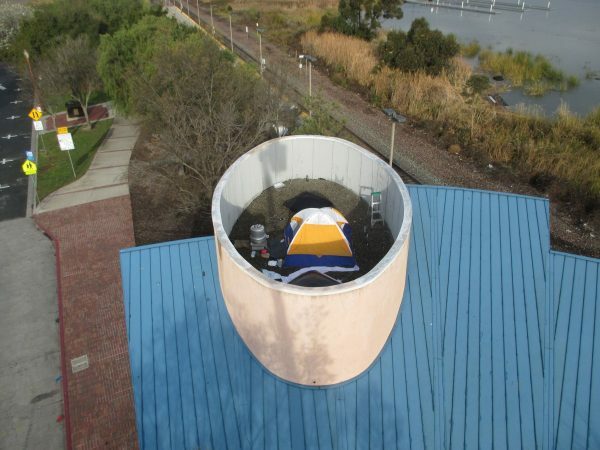 Police posted several pictures of the encampment, showing it to provide a pleasant view of the San Joaquin River and the nearby Kimball Island. “Due to safety concerns, the camp had to be immediately abated,” police said. The Facebook post on the Antioch Police page has been shared hundreds of times. “Affordable penthouse. Very creative,” Jan Ratterree commented. 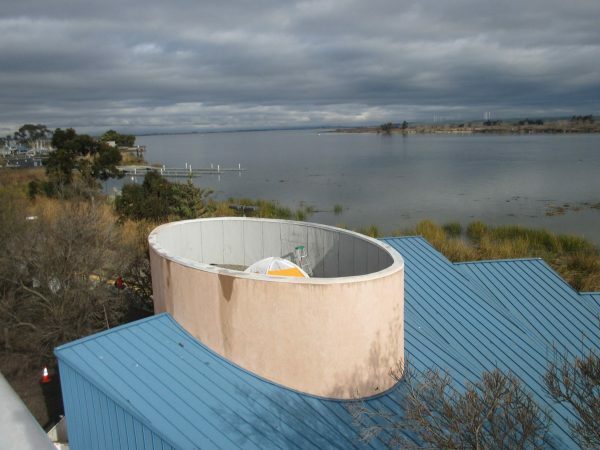 “[M]illion dollar view,” said Kristy Keusch.